CONSISTENTLY BOOKED, Elegant and immaculate, pool townhouse in the sought after, 24 hour community of Windsor Hills. Your new home features an open concept living room and spacious kitchen with ample counter space, stainless steel appliances and large pantry. Enjoy your private, pool view, through your extra wide, glass doors from your tiled living space. For those seeking a serene space, a first floor, private bedroom with an en-suite bathroom awaits. The first floor bath features a shower with a glass door. Head upstairs to find the master bedroom with ample closet space and en-suite bathroom with generous counter and storage space. The third bedroom and bathroom combo is beautifully decorated with a princess theme and opposite from the master suite. Relax after a long day at the parks in your own pool with no close rear neighbors. This screened, enclosed living space has a back access door, pavers, a pool fence and an interior pool safety alarm. Keep this wonderful home all to yourself or take advantage of this short-term zoned community. This property is move in ready. The Windsor Hills clubhouse offers amenities like no other, including a resort style pool, splash pad, water slides, game room, gym and more. 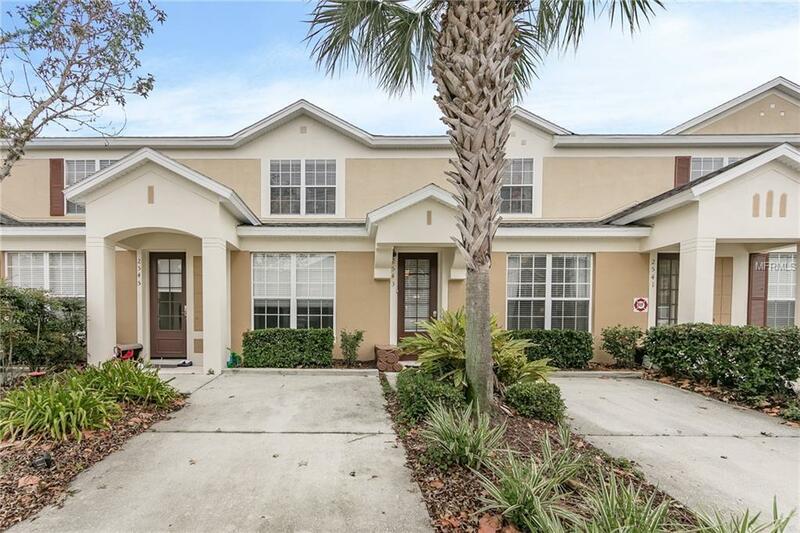 Windsor Hills is minutes away from Walt Disney World, 192 attractions, theme parks, Celebration and a short drive from shopping and dining destinations. The AC system was replaced in May 2015 and the pool has a new water heater. Your great FL getaway is here! Pet Restrictions Verify With Hoa if Breed is A Concern.